The wonderful 4-patch block is so very versatile. It is both fun and quick to make plus it will provide practice for both a beginning and a experienced hand-piecer. I've chosen to cascade colors down my quilt (set on point) so my prints are purposely set in the block. Make sure you download the coloring pages so you can plan out your fabric placement. 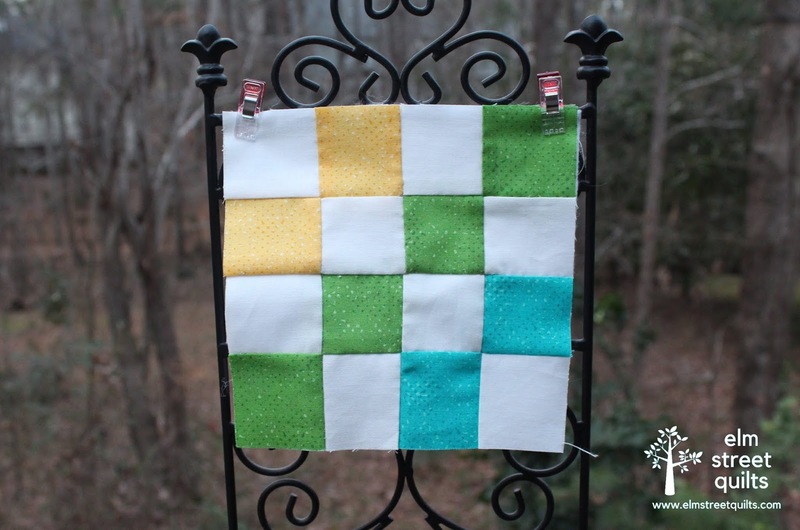 Kristin is hosting the tutorial for the 4-Patch block on Simple Handmade Everyday. 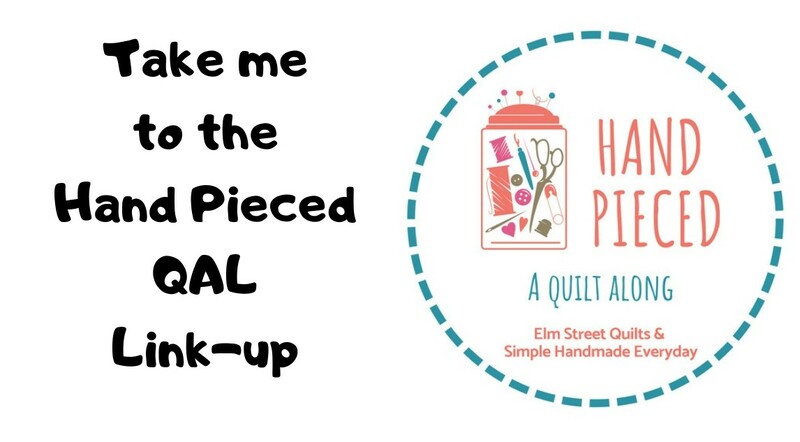 Click image below to visit tutorial and enjoy time piecing this week's block! The link-up for the 4 Patch block - block 1 in our QAL - opens on Thursday, January 24! 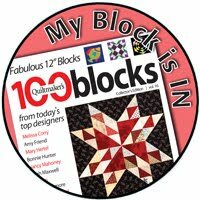 Finished blocks can be shared in any weekly link-up, however, so don't worry if you get behind. 'Been looking forward to this. I will be starting mine this afternoon. I've actually been kind of dreading it because I haven't practiced. Just watched Kristin's video and now I can't wait to get started. It looks fun. Thank you both for hosting and all the work you've put into it. This first block looks easy enough! Excited to get started! I'm glad we started with an easy block!! I made mine tonight, and it was fun. The videos and tips were very helpful. I like the colors in your block. You are both using great fabric lines. 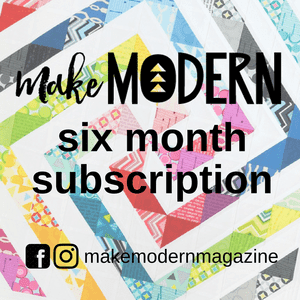 I felt I had lost my quilting "mojo" after being passionate about the craft for over 20 years. By finding this QAL I've got it back!!! Can hardly wait to slow stitch again. Thank you!